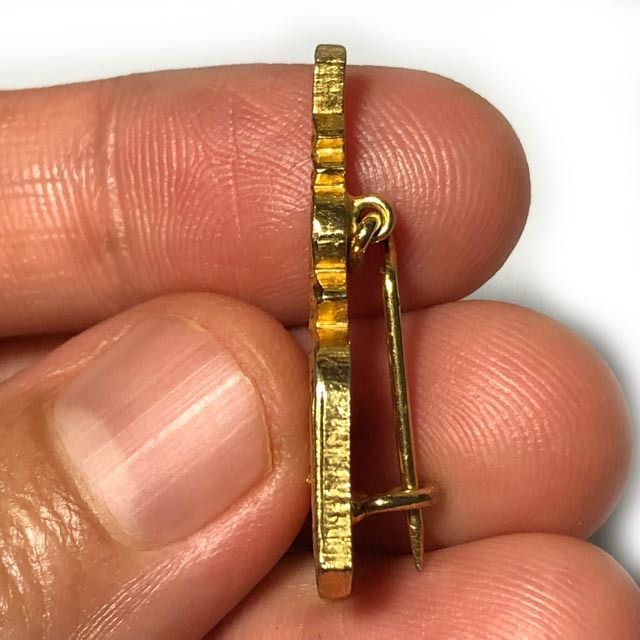 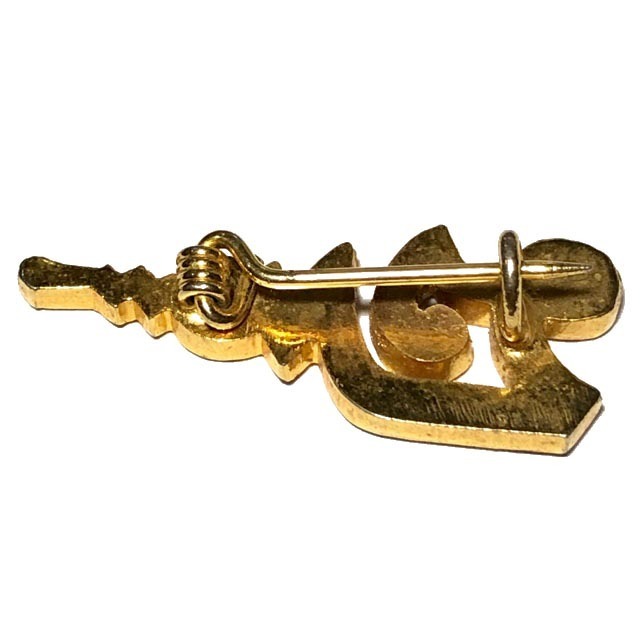 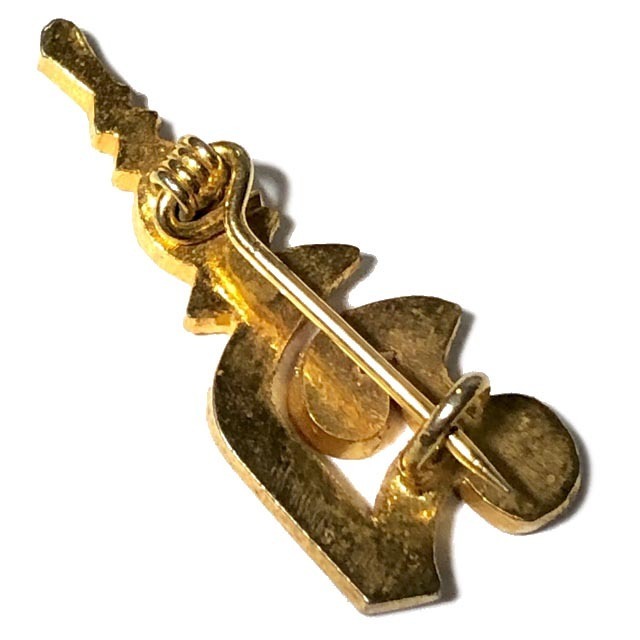 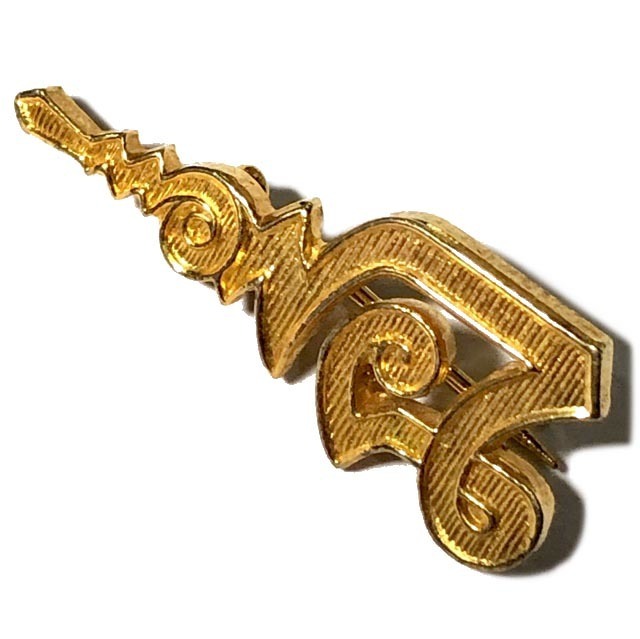 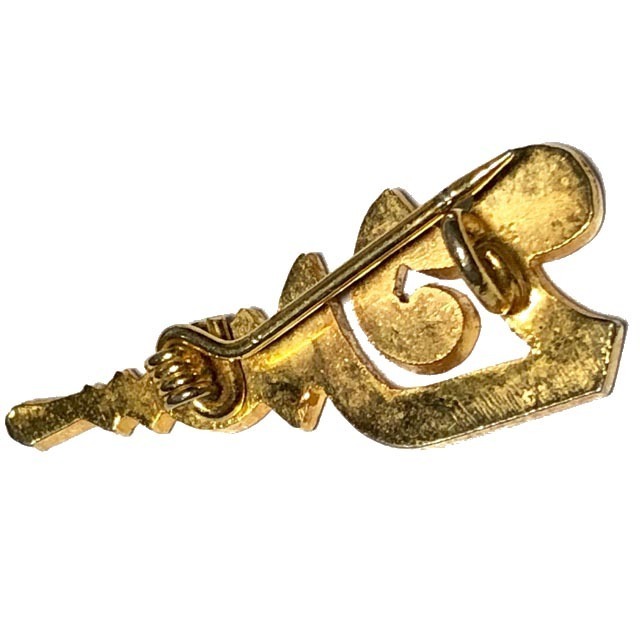 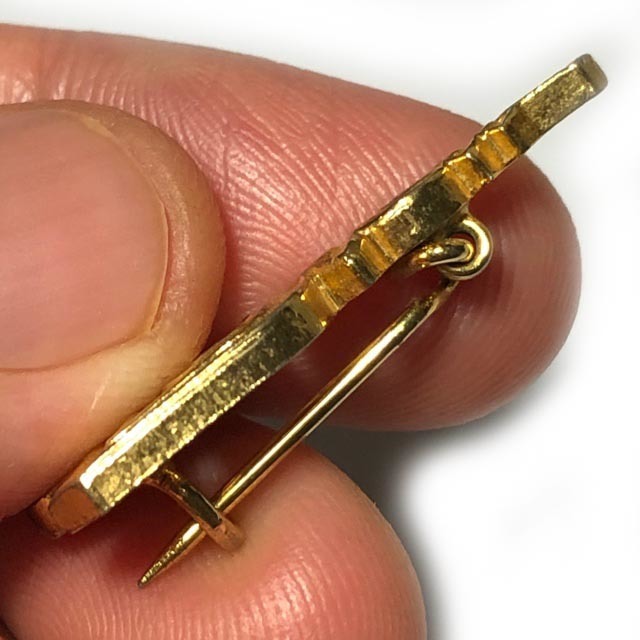 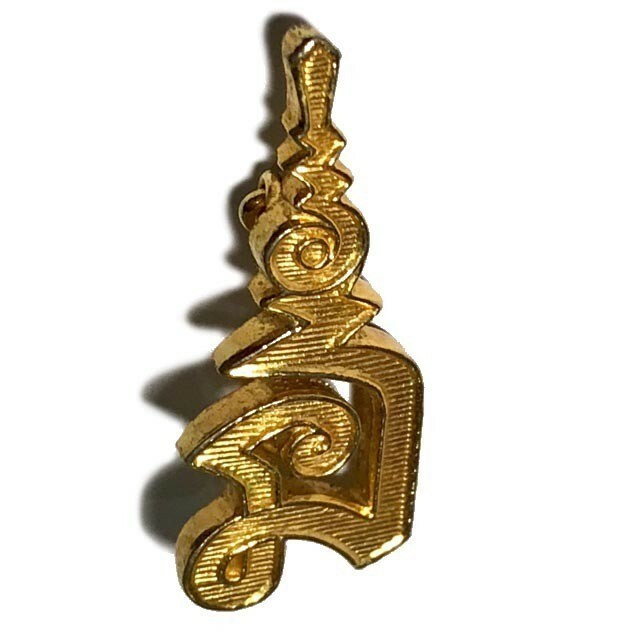 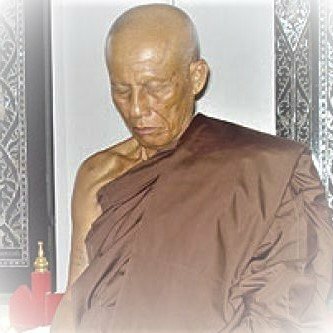 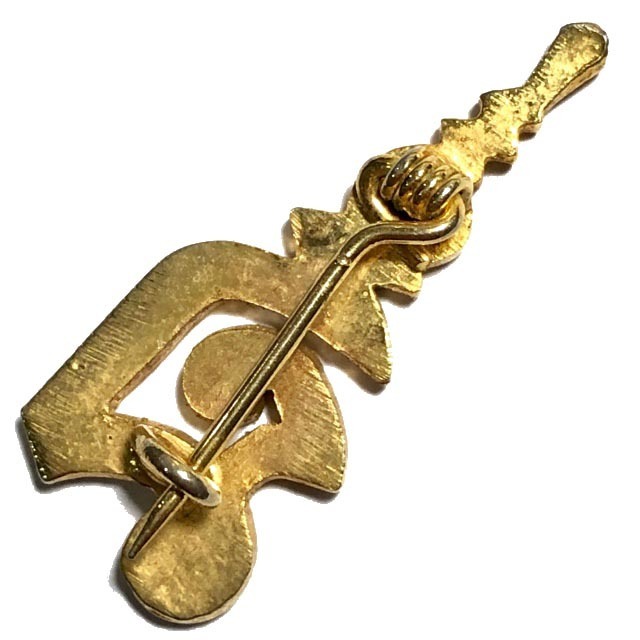 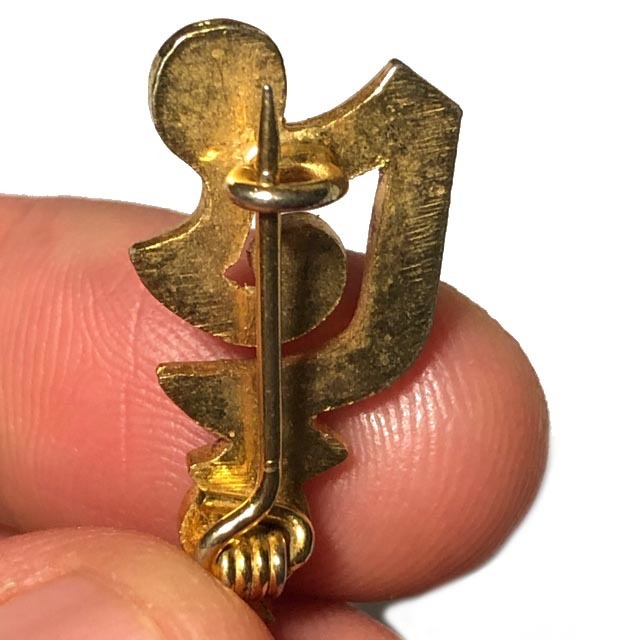 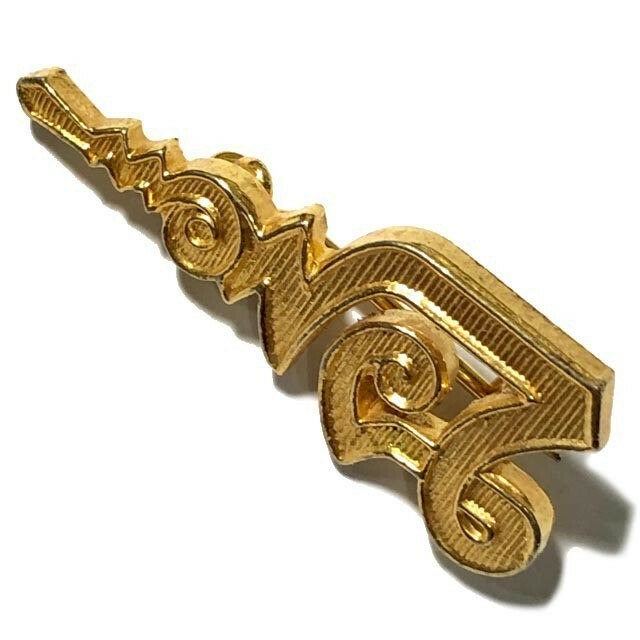 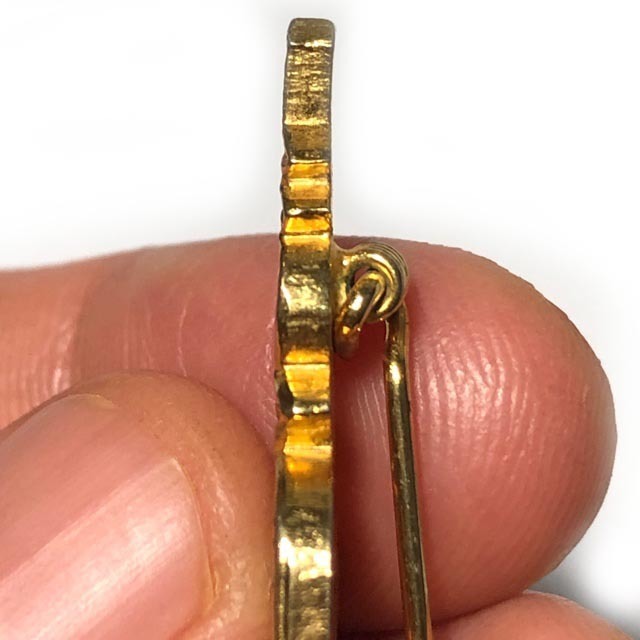 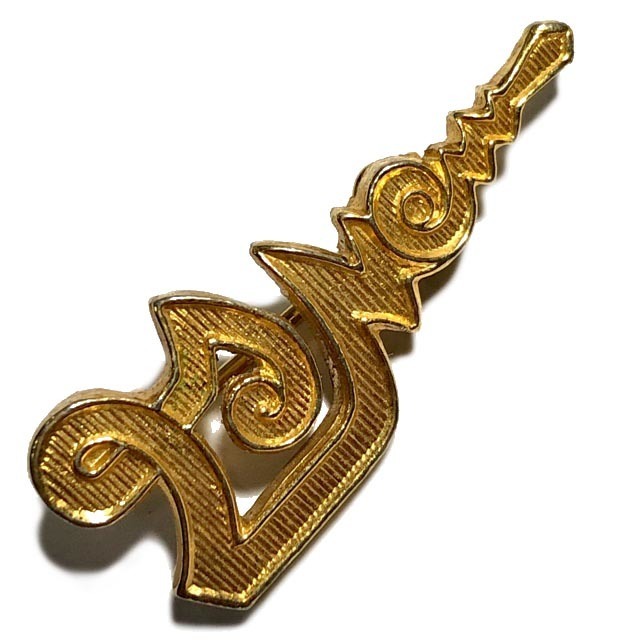 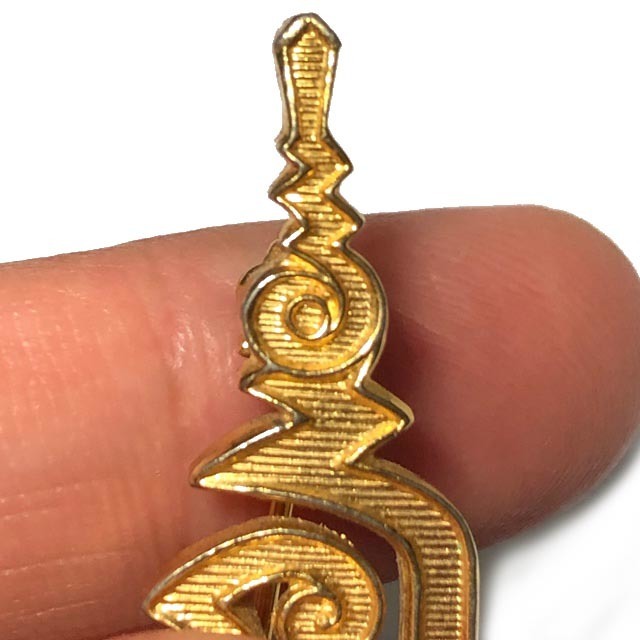 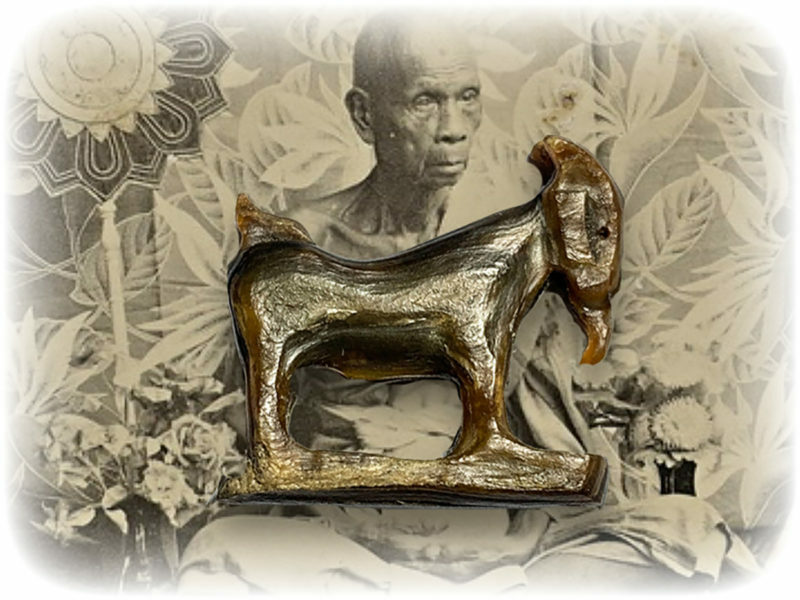 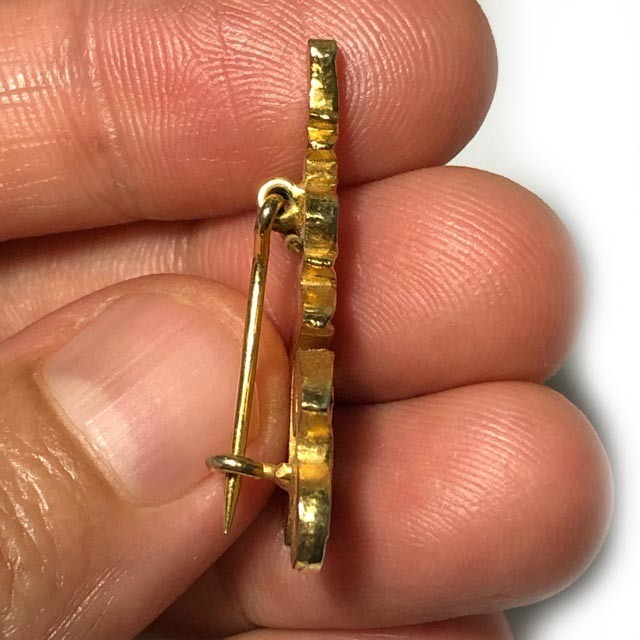 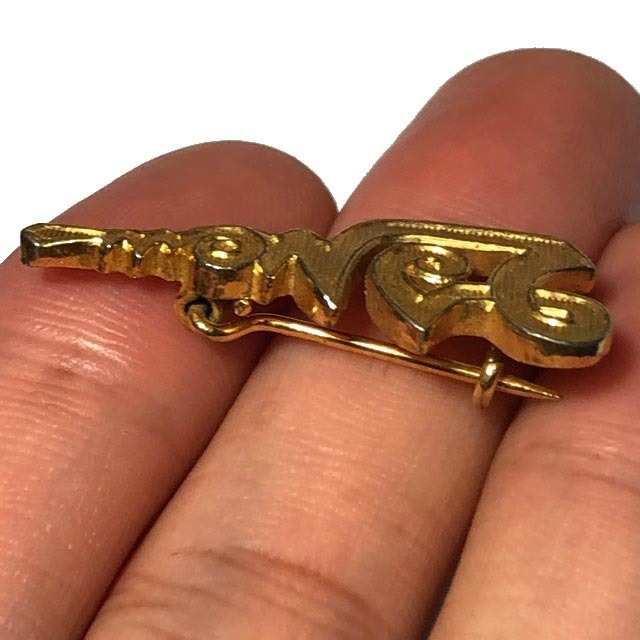 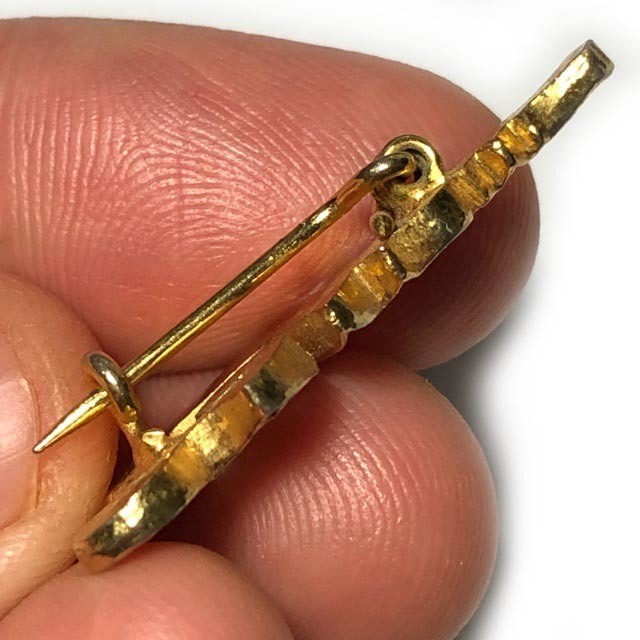 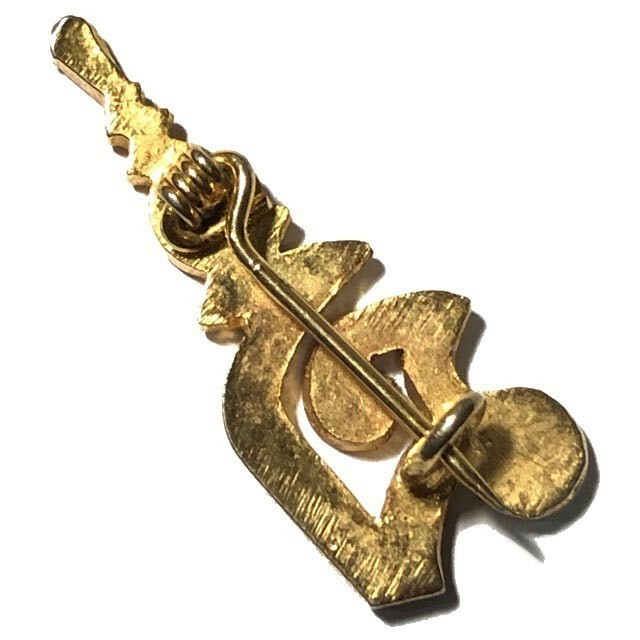 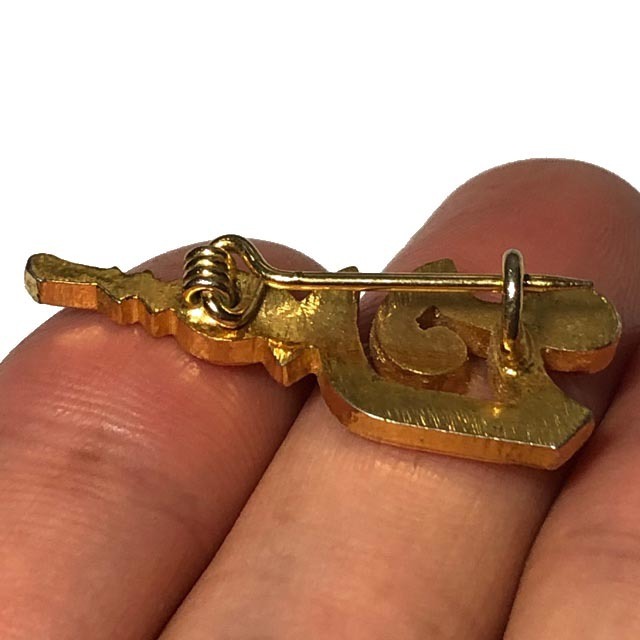 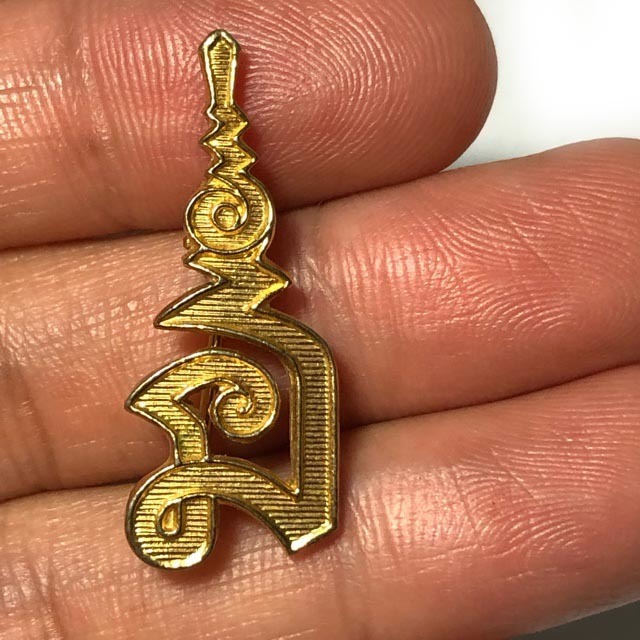 A very sacred and highly revered item considered 'Na Unalome Yant Sarapat Gan', in Medium size Pim Klang (3 x 1 Cm), for its ability to protect and prosper in all areas of life, from the Great legendary Ex-Gangster Sorceror-Monk, Luang Por Tawee Sak (Luang Por Suea Dam). 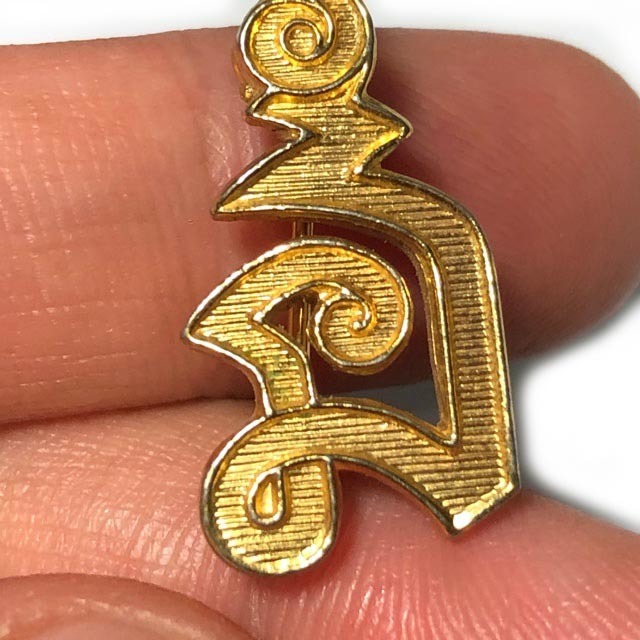 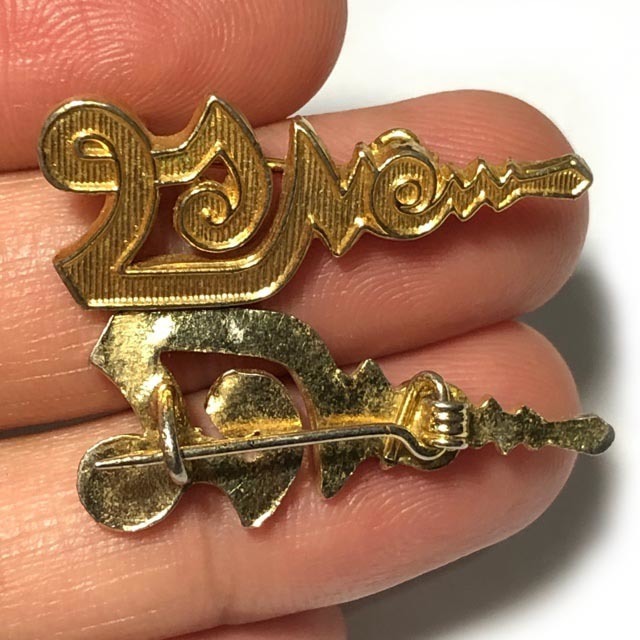 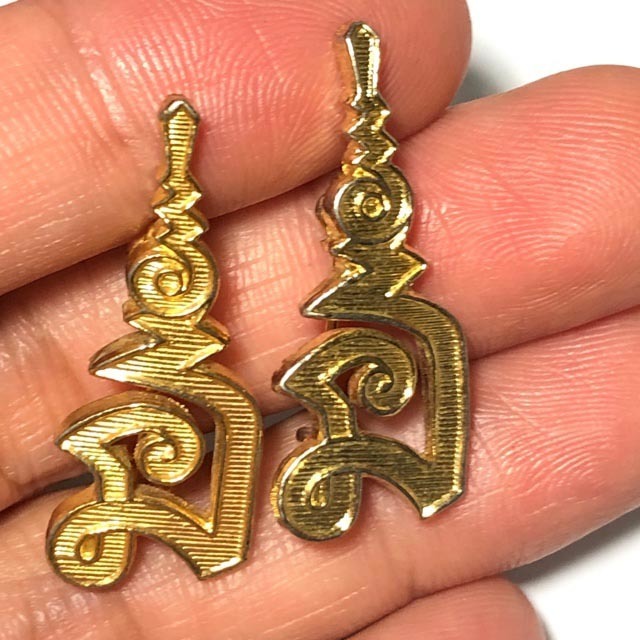 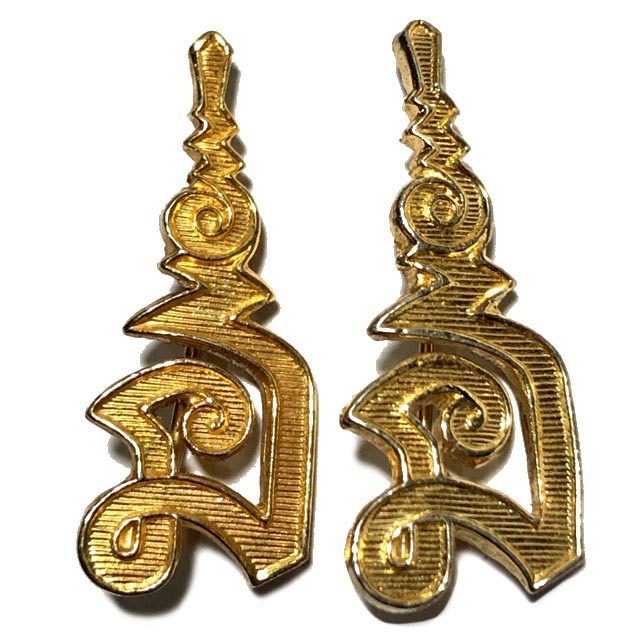 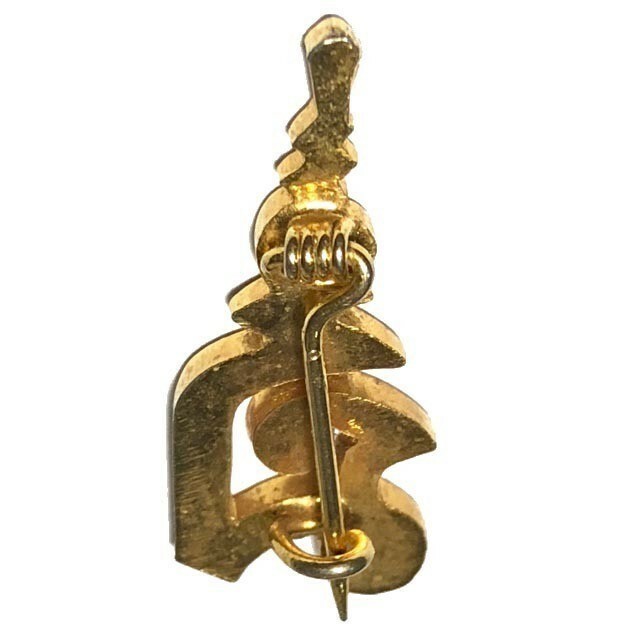 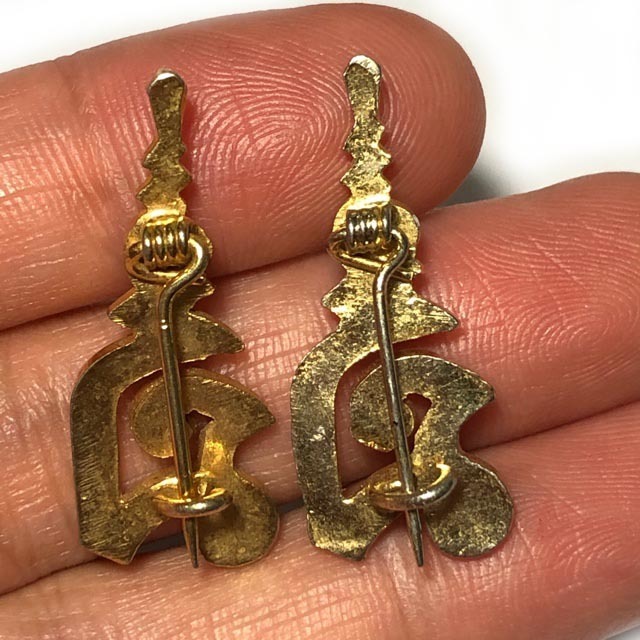 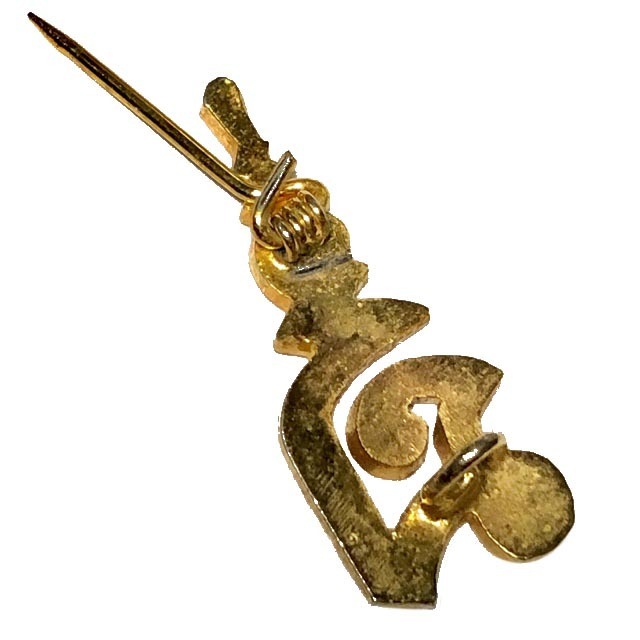 The Khem Glad Na Buddha Racha is a small badge with pin on rear face, for attachment to clothing or other cloth surface, and is composed of the Sacred Khom letter Na Yantra, the Heart of all Yant, with an unalome spiralling upwards. 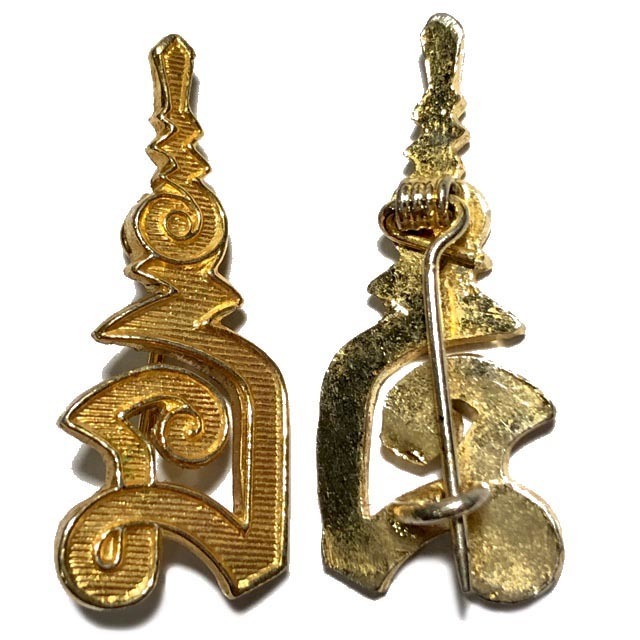 This very same Yant Na Buddha Racha by LP Suea Dam was once tested with Guns on a T-shirt which Luang Por had inscribed the Yantra on, which was recorded on video and went viral in Thailand, as was also the case with LP Suea Dam's Takrut Ud Pern Gunstopper amulet. 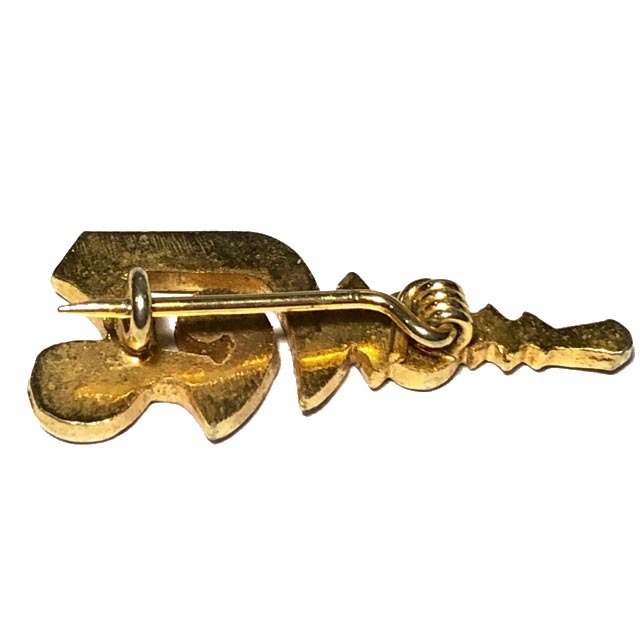 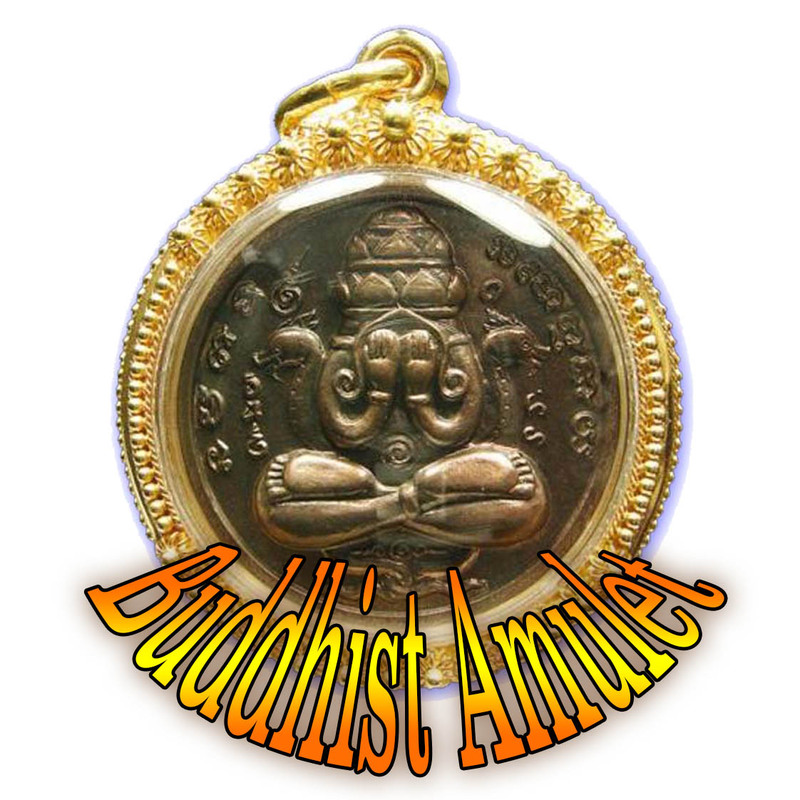 Free Registered Air Parcel Shipping Worldwide is included in the price with this amulet. 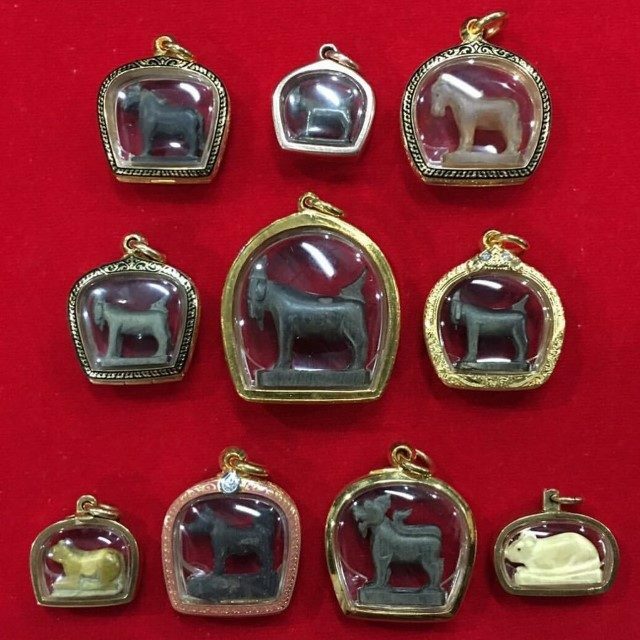 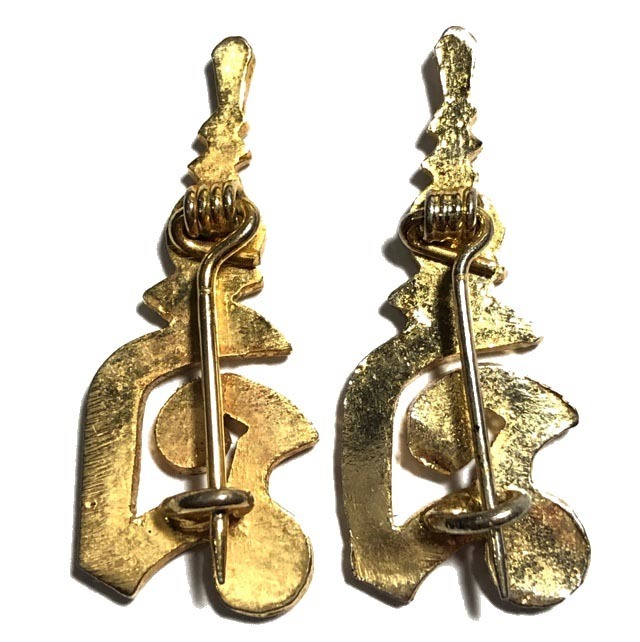 The amulets were made in Pim Lek, Klang and Yai (small medium and large). 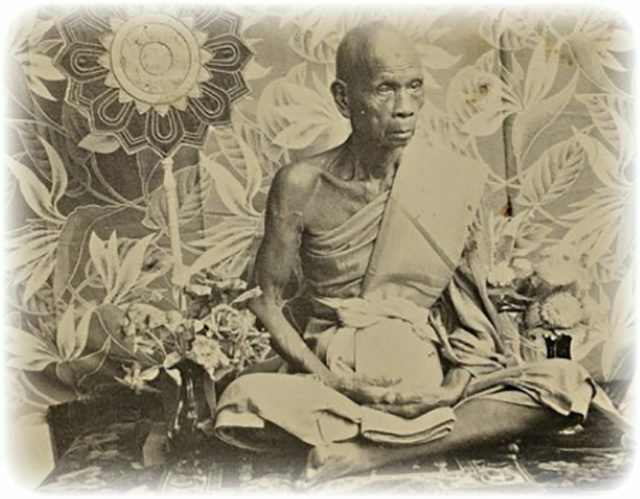 Luang Por Suea Dam was one of the four most infamous and beloved Gangster Highwaymen of Thai History, along with the Great Suea Bai, Suea Mahesworn, and Suea Fai. 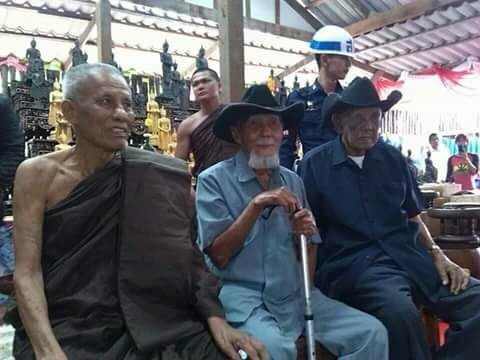 Luang Por Suea Dam was the last of the four great Gangsters to pass away.